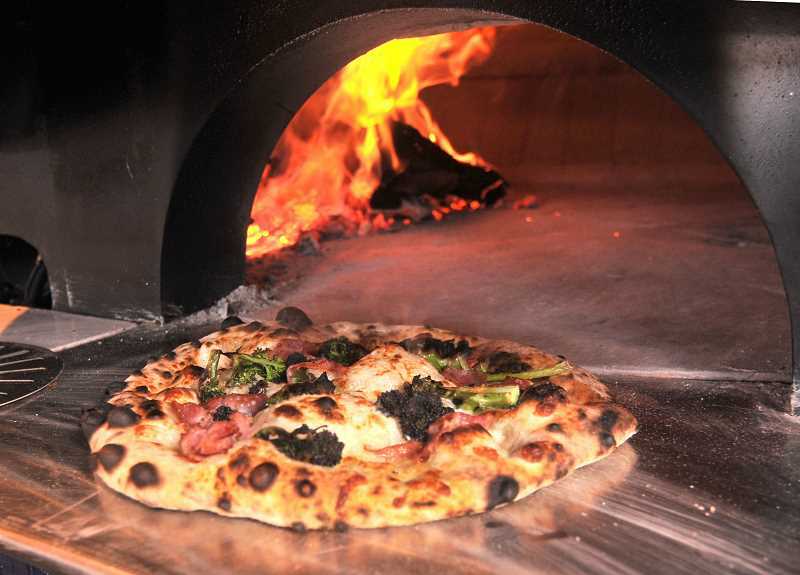 Monday will be a big day for Neopolitan-style pizza lovers as one of the most anticipated new restaurants in the downtown Lake Oswego area opens. Get ready for Pizzeria sul Lago — Pizza by the Lake — opening in the former Blast Burger location at 315 First St. Tim Matera, general manager of Blast Burger and Five Spice Seafood and Wine Bar above the space, will serve as general manager of the new restaurant and Chef Nick Ford will serve as executive chef. Ford previously was chef and co-owner of P.R.E.A.M. pizzeria in southeast Portland. He is a graduate of the French Culinary Institute in New York City and interned at chef and restaurateur David Bouley's Michelin-rated French/Asian restaurant Bouley. His resume includes cooking under Chef Zakary Pellacio and Chef Corwin Kave; hotel restaurant experience assisting at The Mondrian Soho, working under Top Chef Season 2 semi-finalist Sam Talbot; a stint at esteemed restaurateur Danny Meyers' Union Square Cafe and at Chef Gabe Thomas and the Epicurean Management Group's L'apicio. There he served as junior sous chef, where he honed his love for making handmade pastas. Ford came to Portland at the urging of a chef friend, and that is where his passion for pizza was born. He worked for the first time in a pizzeria and then at Chef Jason French's Ned Ludd restaurant in northeast Portland. He convinced French to let him open a pop-up restaurant in Ned Ludd on Monday nights. The pop-up, named P.R.E.A.M. — a play on the song C.R.E.A.M. (Cash Rules Everything Around Me) by the New York hip hop group Wu Tang Clan — became an instant hit. Known for using unique combinations on the pizzas, P.R.E.A.M. 's music-meets-pizza concept received rave reviews. Ford says he'll use that same creative edge at Pizzeria sul Lago. Using farm fresh produce and the bounty of the Pacific Northwest he will create traditional, specialty, vegan and gluten free pizzas to bake in a Mario Accunto wood-fired oven brought from Naples, Italy specifically for Pizzeria sul Lago. In addition to pizza the menu includes interesting salads, and unique dishes like German butterball potato with roasted turnips, kale and hazelnut pesto, fresh sheep's cheese and black olive crumble, and pork and veal meatballs with an arrabiata sauce, pickled peppers, basil and fried shallots. Pasta dishes include rigatoni with Italian sausage, rapini, chile, garlic and ricotta cheese. And don't forget dessert — choose tiramisu, pistachio semifreddo or cannolo. "I'm looking forward to walking over to the farmers market and buying ingredients to feature on a Saturday market pizza," Ford said, noting Pizzeria sul Lago is a few yards from Millenium Park Plaza where the farmers market is held, and from Oswego Lake. Beverages also get high marks. Tim Matera has curated a wine list featuring Northwest wines made of Italian varietal grapes, as well as Italian and local beers, ciders and bottled Italian-inspired cocktails like a Negroni and Italian 75. 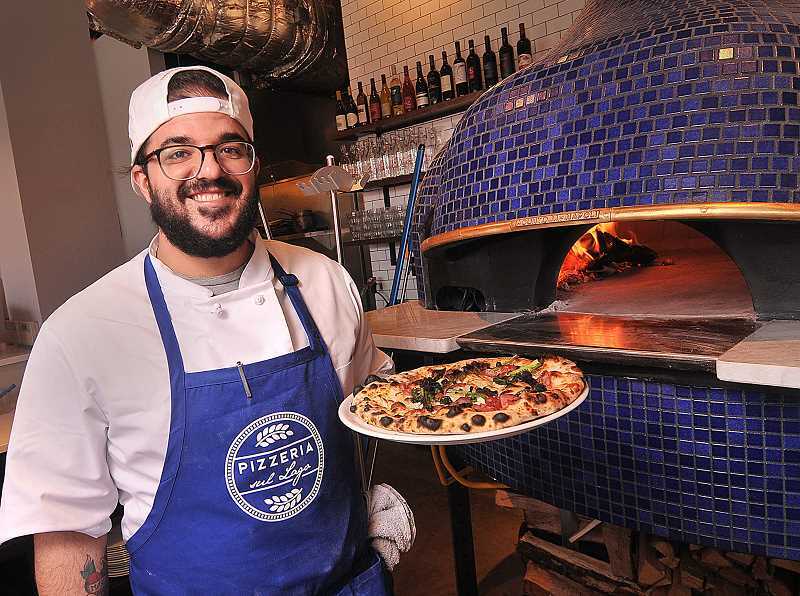 Pizzeria sul Lago aims to remain true to Italian cooking, "honoring each ingredient and simplicity, bringing quality seasonal Neopolitan-style Italian wood-fired pizza, fresh pastas and exceptional salads to Lake Oswego," say Ford and Matera. The restaurant will seat about 65 indoors and 80 on an Italian-inspired outdoor patio, which will open later this spring. Pizzeria sul Lago will be open for lunch and dinner daily from 11:30 a.m. to close. Reservations are not taken. For more information, visit or call 503-305-8088.